At the Meeting of Safe Production and Overseas Safety of SINOMACH for the Year of 2019 held on the morning of February 18, 2019, SINOMACH commended its 28 subsidiaries rated excellency in its safe production for the year of 2018 and 20 individuals rated excllency in their management on safe production for the year of 2016-2018. 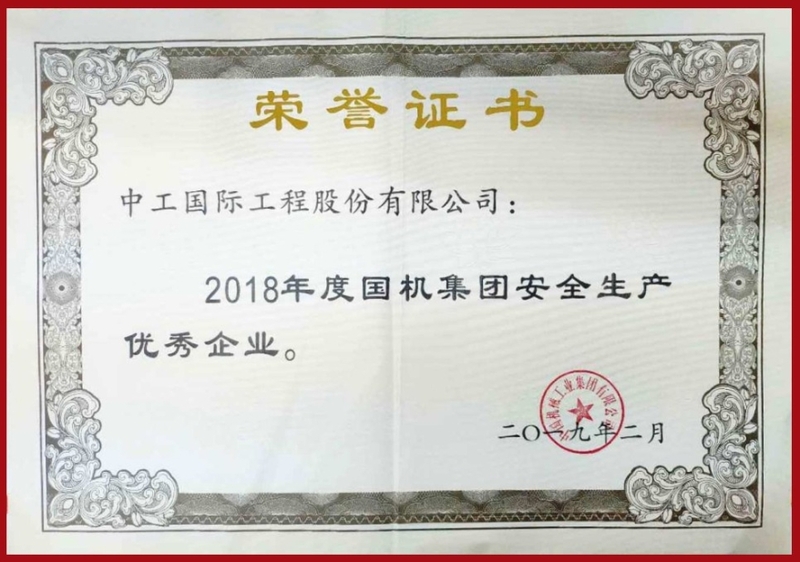 CAMCE was awarded the Excellent Corporate of Satety Production for the Year of 2018 by SINOMACH and Shi He was awarded the outstanding managerial personnel on safety production for the year of 2016-2018. Obtaining this honor means the great recognition by SINOMACH to CAMCE's efforts to improve its safety production system, its implementation and the resulted excellent performance. From now on, CAMCE will cherish this honor, make persistent efforts, and firmly adhere to the red safety line in carrying out its future work, thus creating a favorable safe environment for CAMCE's healthy development with high quality.